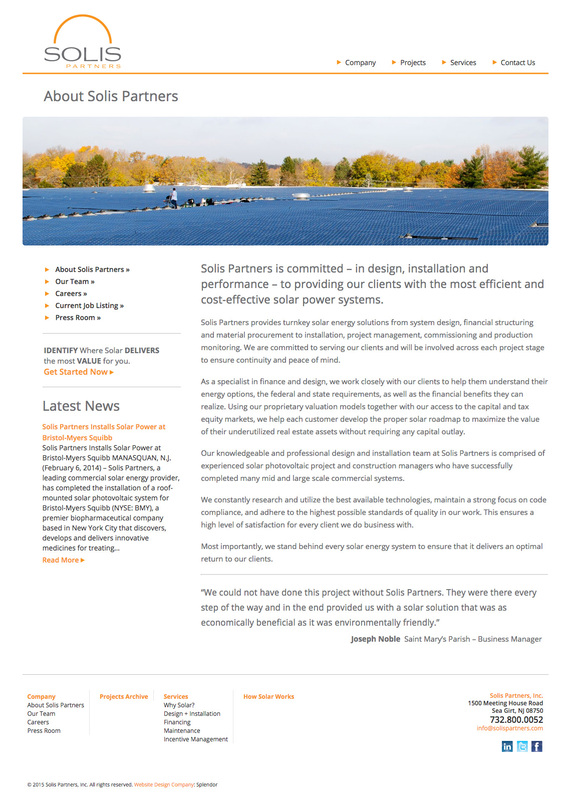 we breathed energy into a solar company. 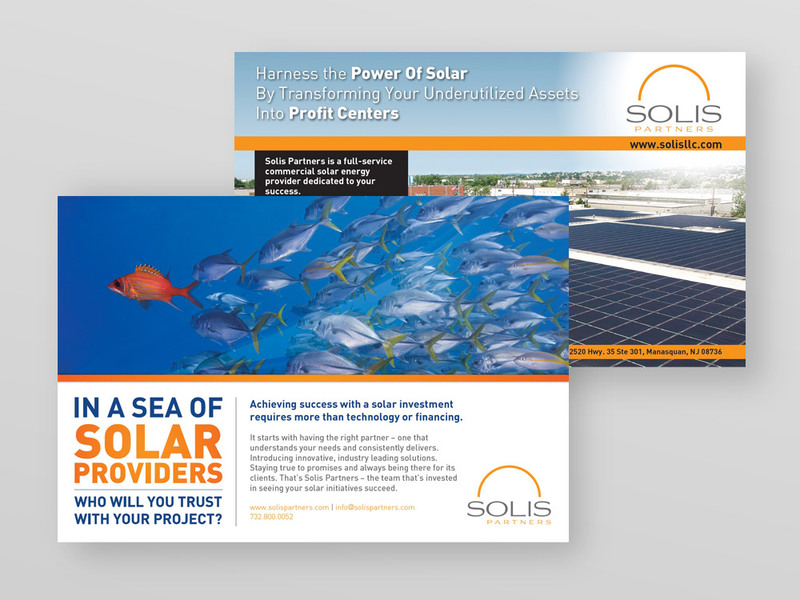 Solis Partners approached Splendor when the company was newly formed to create various marketing materials to help their new brand succeed. The company sells and installs rooftop solar systems for commercial applications. Their target audience was specifically corporate and medium to large businesses. To set a strong foundation, Splendor crafted a simple, sophisticated logo design for Solis that incorporated a minimalist design and shape, along with upscale typefaces and versatile arrangement. We launched a new site in 2014 with slightly different goals and objectives. This website puts a great deal of emphasis on showcasing completed projects, of which there are many. This website won several design awards. 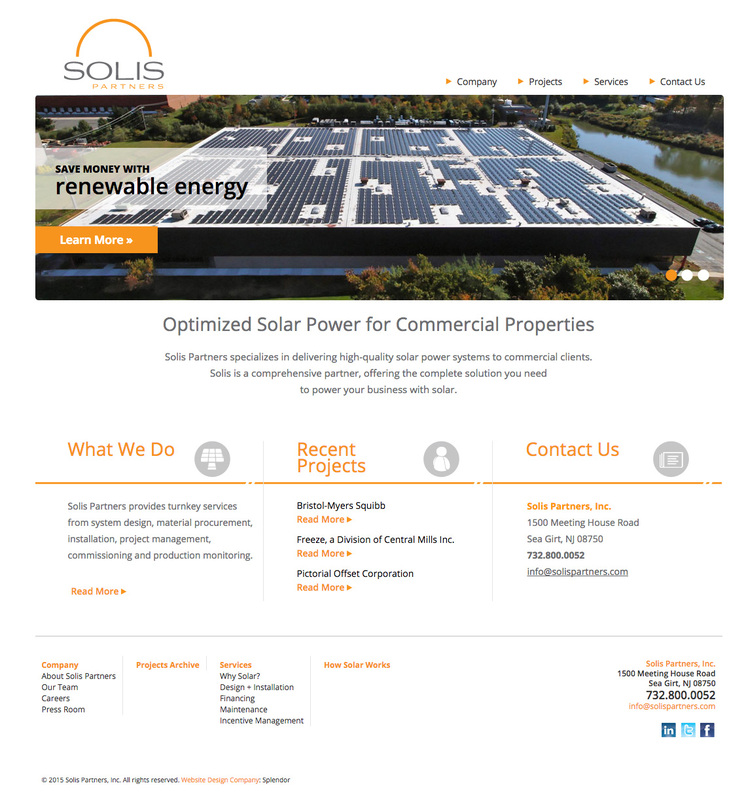 Additionally, a content management system allows Solis staff to easily update all areas of the website, including pages, press releases, news articles and, importantly, project case studies. 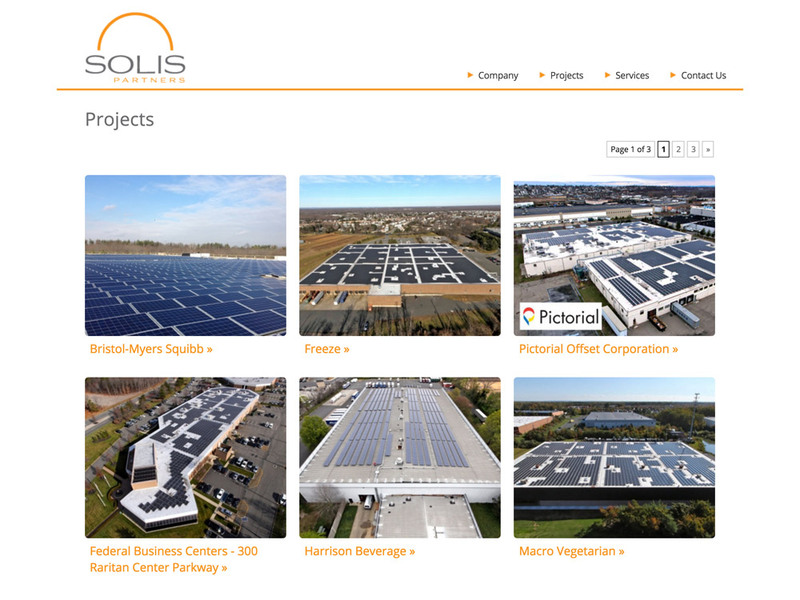 The content management system we implemented for Solis was a custom theme and WordPress-based website. In addition to online media, we also created designed a series of print advertisements that were used in various industry publications and business journals. 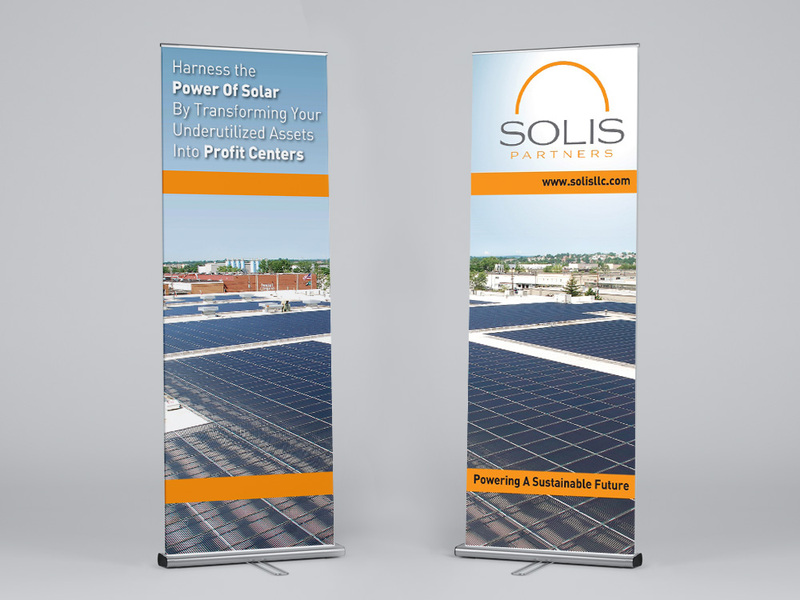 In support of their business outreach and development efforts, we designed various display graphics for use in expos and conferences. All of these additional materials were congruent to the effective branding and identity that launched the company.